Click here to see our color selections. A quality blended material ... 200-250 Thread Count Percale is 50% Cotton and 50% polyester for ease of care. Affordable Standard or Custom sheet set sizes available because we make everything from scratch. This fabric remains durable after repeated washings for lasting quality and comfort. 70% Bamboo, 30% Cotton 300 Thread Count sheets are a beautiful, high-qualty fabric. Treat yourself to the luxuriously soft feel of bamboo/cotton. 300 TC Bamboo/Cotton blend is also listed under colors. Hand-cut and sewn especially for you. 100% Cotton 300 Thread Count sheets are a beautiful, high-qualty fabric. Treat yourself to the soft feel of all cotton. 300 TC Bamboo/Cotton blend is also listed under colors. Hand-cut and sewn especially for you. 500-600 Thread Count Pima Cotton is incredibly soft and durable. The ultimate in comfort, this is the highest quality cotton and of course softness and quality are unmatched... Beautiful ! From Lumber to Slumber...Northwoods Flannel from Bedderbedding will keep you warm on a cold night. 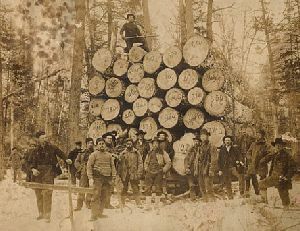 These lumbermen wore it to keep warm, now you can sleep on and under it. 100% Cotton... feel free to snuggle in your cozy, soft and warm flannel. All of our Flannel fabrics are made of 100% Cotton and have a weight of 4.3 ounces per square yard. Each is imported from Portugal in the fall. The epitome of comfort and warmth! Traditionally, satin comes in two varieties. Most satin that you'll encounter in bedding is made from polyester, and is a low grade fabric. Bedderbedding.net does not sell bedding in polyester satin, but rather the higher quality Acetate satin. Specifically, our satin is "Bridal" satin, which is the grade used in making bridal gowns. It is composed of acetate, and is a heavier, thicker, more luxurious satin than polyester. It has two definite sides to it. The "top" side is frictionless and bears a strong luster. The reverse side is somewhat dull, and bears the grain of the fabric. Bridal satin is only available in 45" wide bolts, and therefore, all sheets made of Bridal Satin must have a center seam. This center seam is reinforced, and is very sturdy, but you should be aware that the sheets will come with it. Many of the colors of Bridal Satin that we offer have been dyed exclusively for our use, and are therefore unique in the industry.